Panther clients in this category are looking to automate the pack list and shipping label process. Many of our clients are Fortune 100 companies that are shipping tens or hundreds of thousands of products per day of varying dimensions. 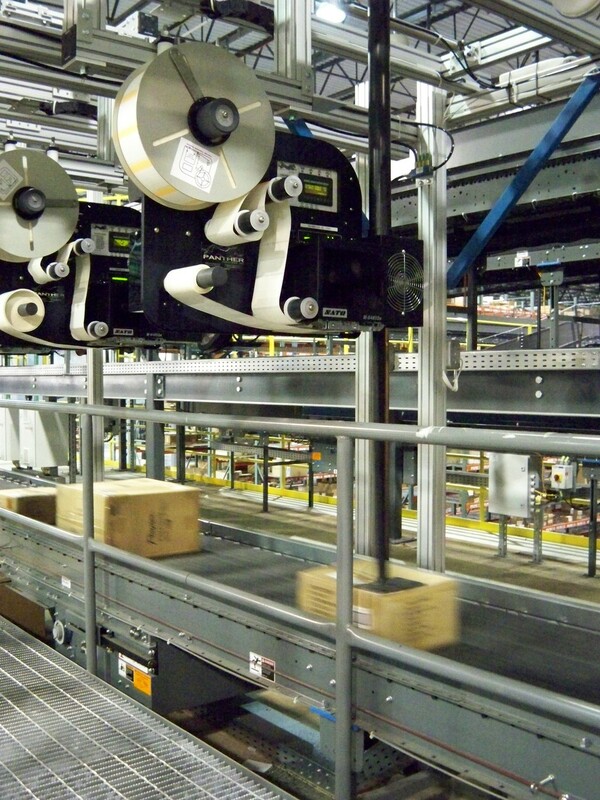 Two of our very popular product lines are our Pack and Ship and our NEXTStep systems. These applicators are designed to be "all-electric" on our Predator model. These applicator types are best suited for carton labeling applications with a variety of products heights. With our industry-leading application speed, we can meet your through-put needs. Pack lists are another step in the automated shipping system that need to be addressed in conjunction with the Outbound Shipping process. Without automation, this step requires an operator to print out a pack list, fold it up, then place it in an envelope and apply it to a product. This is another very labor intensive job for businesses to work around. 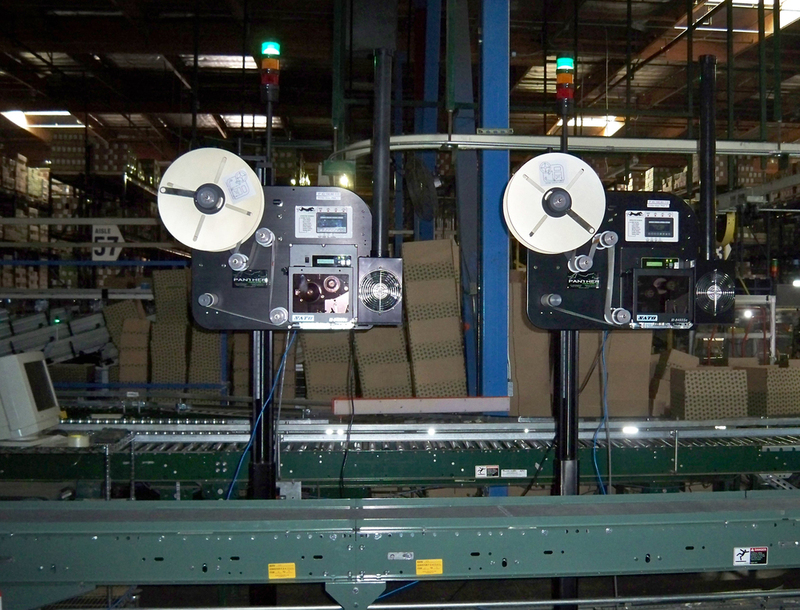 Utilizing equipment from our Panther Predator line, automating the pack list process is as simple as adding another Panther labeling machine inline with an Outbound shipping system. Adding this second system allows us to print the required pack list onto a label and apply that label to the product. We then use the Outbound Shipping system to apply the shipping label over the top of the pack list for security. 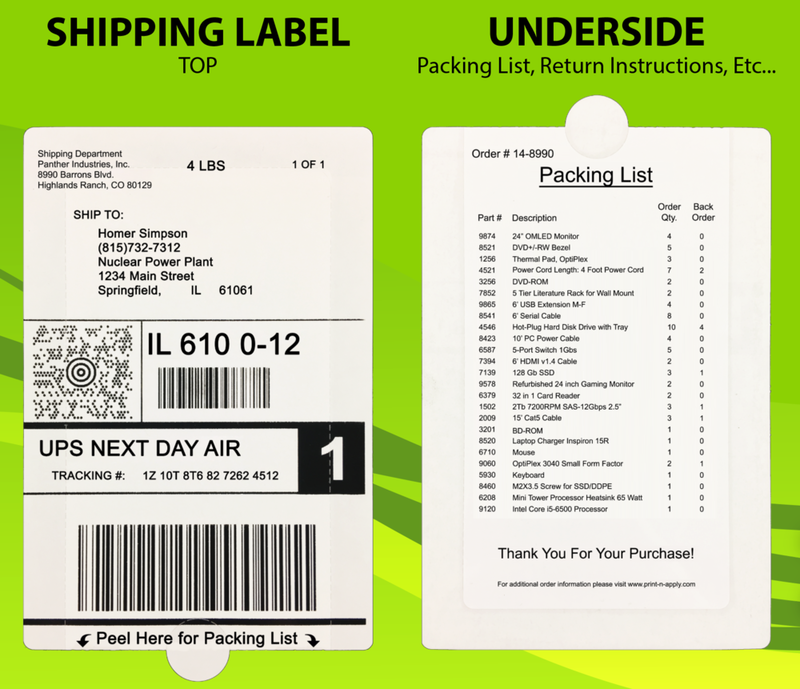 These labels are designed with perforations to allow a recipient to easily remove the shipping label and the pack list and use them for inbound shipment tracking. 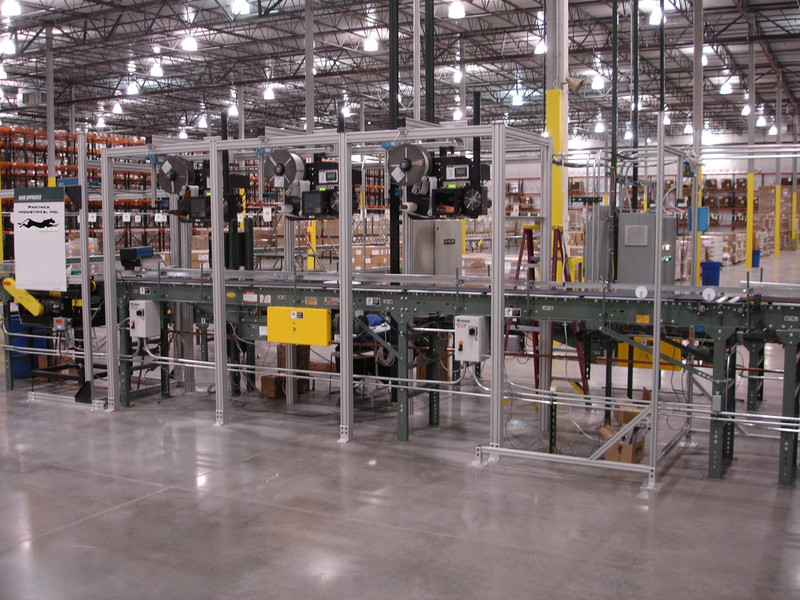 These systems have dramatically increased the efficiency and versatility of the pack list and shipping label process for many distribution warehouses. By installing the Panther equipment, many customers have been able to consolidate production lines, increase redundancy, and all but eliminate human error from these processes. Packing List and Shipping Label in ONE step. This Panther Print and Apply Labeling System will print and apply the Packing List and the Shipping Label in one easy step with a single print and apply labeling system and a single "print job". 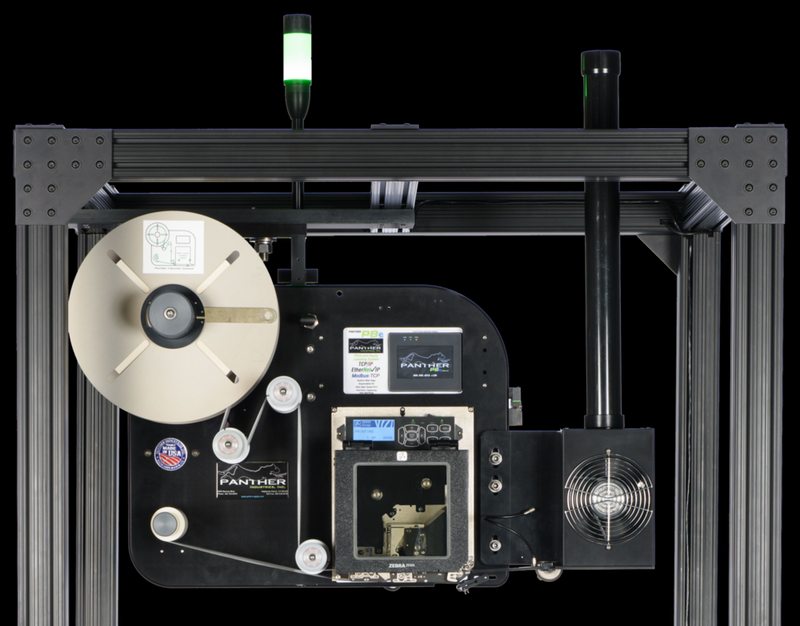 The Panther NEXTStep system is available as a high-speed electric servo applicator – with a reach up to 58” – and used when applying labels to the top of varying height cartons.